The history of oval chain rings in cycling includes few less-than-successful attempts. 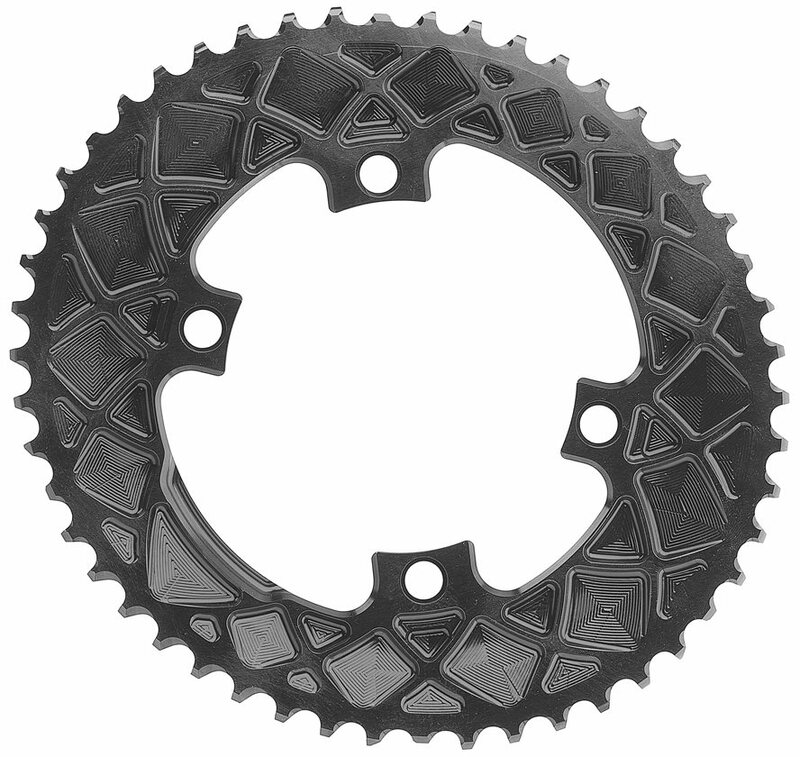 It's long since been understood that an oval chain ring could theoretically enhance the power and consistency of a pedal stroke, but previous attempts have caused gearing problems and even knee injuries. The dream of making a functional oval ring was all but abandoned until Absolute Black came along. The Premium Oval series has been meticulously engineered to provide riders with power and consistency through their pedal stroke. The shape is proven to eliminate dead spots and optimize power transfer. In the process of creating an efficient performance ring, Absolute Black also discovered that the oval design reduces peak loads on knee joints, therefore providing a pedal stroke that's actually easier on your knees. By spreading the load across a greater muscle mass, the Premium Oval rings keep you going faster longer. After listening to a buddy of mine and trying an oval on my MTB, I decided to give it a shot on my road bike. Simple put these rings work and they actually up shift better than my ultegra rings. They definitely help on the hill climbs and they look like works of art. you will be able to ride farther with less fatigue Ann's more traction. If you're at all curious about oval rings, then give them a try. You will not be disappointed. Do i need to buy both chainrings, or just the big one and run the stock little one?